Daylight savings time notwithstanding, the nearness of Spring makes for a brighter world when I leave my children to their sleep. Most mornings, it is not enough to lift the heaviness I feel, here in the breakneck days of March, when the various components of my life – teaching, directing, serving on the local school board – come to a head all at once, and me with my children continuing to struggle with chronic illness. But the soundtracks of life are everpresent, and they say music soothes the savage breast. And so I make and listen to my own playlists in the car, trading NPR awareness away for just a few moments to feel each day, before the car stops, and I walk into the confusion and stress of what is increasingly an unsettlingly precarious new normal. 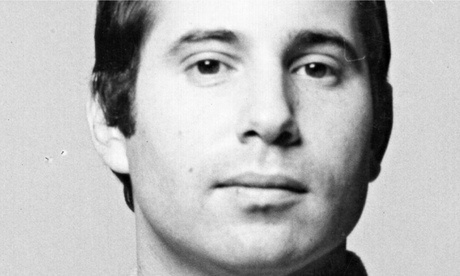 Recently, that’s meant a lot of Paul Simon covers; in both his incarnations – alongside Art Garfunkel, and as a solo act – Paul Simon serves the yearning soul better than most, in these days on the edge of grief. There are many reasons for this, from the continued primacy of Simon’s songbook in the popcult airwaves to the recent televisory reminder that he was a key player on the early days of Saturday Night Life to the constant renewal of his songs through evermore coverage. But mostly, to say that Simon is a better speaker on behalf of my soul is to acknowledge the sheer potency of that particular subset of his canon that speaks directly to the unmoored sense of self which typifies my own uneasy days. Simon’s everyman, restlessly longing for stability in the storm, is legendary. His descriptors of distance and domain are unparalleled among the chroniclers of the heart. And a full complement of songs serves to prove our case; their diversity – of situation, and of interpretation – validates our dreams. Simon’s recipe is potent: lead with a crisply envisioned moment, widen the lens to capture the leavetaking of home, end with the setting sun, a question on the horizon. Pilgrims and immigrants, travelers and tour-mates, our narrators search their own stories, looking back on love affairs and road trips, trying to make sense of the lost and found, the detritus that floated them here, finding temporary solace and stillness in wistful memories of seventh avenue whores, store-bought pies, and other simple, concrete pleasures. United in their plight, they stand for all of us, awed by the world that whizzes by from the windows of our trains and cars, humbled by the poignancy and precariousness of love and the gritty imperfections of our broken promises, always, always, grateful for the memories. Listen as the nirvana of Simon’s searchlight songbook of hope grants grace in gravity. Listen, as like a magician, Simon reveals motion itself to be the human condition, and celebrates it. Listen, that our hearts and bones remain true, and not come undone. Listen, and be still in the whirlwind of your life, too. Looking for more Paul Simon coverage? Check out alternate takes on Homeward Bound and America from Red Molly and First Aid Kit in our Best of 2014 Singles Mix! There’s a problem with the “Obvious Child” download. Not the playlist, which, as coverage so often does, waxes hit and miss (for me anyway). Not that you don’t share enough hits to keep me coming around regularly to check in — three or four drive-byes for each new post. The six paragraphs and two lines! Wow! I imagine it tumbling out of you, almost stream of consciousness, cathartic, rather than diligently wordsmithed. Yes, Paul both sees exceedingly well, and has the elegant words to tell. But so do you, if in narrative form. There are some gems in there. I check over and over for new playlists from you. This one really speaks to my heart..thank you.